[Blind Gossip] Remember when we told you about that gifted actor and his ex? They were at war with each other after a bad breakup. That made it difficult for them to be civil towards each other during the promotion of their film. After being given a verbal smack down by the producers, they stopped being so nasty and instead fake-gushed over each other for the remainder of the promotion. Of course they still hated each other. And of course they went their separate ways five minutes after the promotional tour was over! Guess which couple is suddenly “back together”? It is not a coincidence that they got “back together” at exactly the same time that the trailer for his upcoming blockbuster is being released. In fact, there are about a $billion reasons why those two things happened at the same time! [Optional] How long do you think they will stay together this time? Chris Evans (best known for Captain America: Civil War) has dated over a dozen famous women over the past fifteen years. The only one he ever dated longer than a year was Jessica Biel. Chris Evans has another movie coming out in April 2018. It’s Avengers:Infinity War. Each Avengers movie so far has grossed over $1 billion. There’s a lot of money riding on making sure Infinity War opens successfully. Just as he began doing promos for that film, he and Jenny “reunited” and started “dating” again. What a coincidence! Unfortunately, even actors can not always pretend to like each each other! These two HATE each other. so much so, that they weren’t going to make it through to the April premiere. Thus, the decision was made to announce a “break up” a month in advance of the premiere in the hopes that the topic will be seem old and irrelevant by the time the movie opens. The break up was announced today. Then… did you notice how fast his publicists successfully buried that story? Less than ONE HOUR after the break up was announced, the lead articles about Chris Evans were about how he might not be playing Captain America much longer! Oh my gosh! NOOOoooo! Say it isn’t so! Guess which story the Marvel fandom is talking about? We’ll give you a hint: It’s not the dating story! We’ve got to say, that was a seriously impressive move on the part of his PR team. Chris Evans: Give your publicists a raise. They’ve earned it! So, don’t ask Chris Evans about dating on the premiere red carpet. That would be awkward. Reporters will be provided with plenty of other topics to distract from the dating issue. Go ahead and ask him about gay rights. Go ahead and ask him about remodeling his house. Go ahead and ask him why he doesn’t want to play Captain America anymore. Ask him about anything except dating! Congratulations to Exit81 for being first with the right answer! 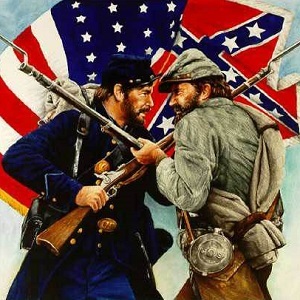 Many of you picked up on the “gifted” and “Civil War” clues. Well done! What, no, I need Chris Evans and Jenny Slate to be real!!! Captain America chris evans and jenny slate. Clues: Chris Evans and Jenny Slate were both in the movie “Gifted”, the trailer for “Infinity War” just dropped, and “Civil War” refers to “Captain America: Civil War”. chris captain america & his girlfriend? but why would anyone care about her? [Optional] How long do you think they will stay together this time? Until the hype of Infinity Wars dies down. I don’t know these people, but I suspect they’ll stay together until the PR for this movie is done. Jenny Slate and Chris Evans. Clues being “Civil War”- the name of a Captain America film. The trailer for Infinity War just dropped. I don’t know how long they’ll stay together but Chris Evans is hot af. Stories have been floating about him and Jenny Slate being back together, flirting on Twitter, etc. Clues: “Gifted” – movie they were in together. Civil – Captain America – Civil War. The trailer for Infinity War just came out. Stay together? I don’t care. But I hope they find happiness and true love. I think it’s Chris Evans and that weird chick, Slate. I really don’t understand why would someone fake a relationship, especially with someone that they can’t stand. And no offence to the woman, but I don’t think she is that famous to give him more status. Anyway, I hope it’s short-lived. This must be the avengers? All those war references to Captain America: Civil War and Avengers. This is so lame! There is no way ANYBODY is seeing The Avengers because of who is dating Chris Evans. And there’s a new Avengers movie coming soon(ish) so it fits. Cheap it’s Jenny Slate, eh close enough. I don’t see how their relationship will help the movie. It will likely be huge whether he is in a relationship or not. He’s Captain America. He has to give the appearance that ‘regular’ women who look like Jenny can too have a man like Chris Evans, aka, Captain * America. Surely Jenny got a couple easy six figures to go along with this. 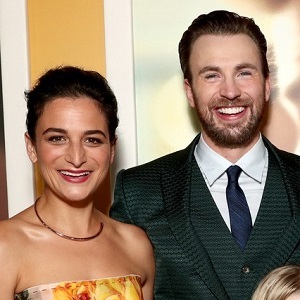 Chris Evans, Jenny Slate. Captain America is a “gifted” civil war soldier. Too many clues to even mention. For her sake, I hope he’s not just using her because I actually think she really cares for him. Fans loved them together too for him dating such a “normal” woman…so it’s very coincidental that before the release of his big flick, he’d conveniently get back together with her. Yes!!! I was so disappointed that they were back together.